This survey of one of Canada’s premier new media artists includes photographs, projections, websites and moving image works that span time and space effortlessly. The centrepiece is Skawennati’s exquisitely crafted machinima She Falls For Ages (2017) that reimagines Creation from a very specific Indigenous point of view. An early collaboration with Jason Lewis – Thanksgiving Address: Greetings to the Technological World (2002) also evokes the Creator, this time to give thanks for the tools of modernity. The works in the exhibition are on screens of all shapes and sizes – from iPads – Imagining Indians in the 25th Century, an interactive website from 2000 – to a funky choose-your-own-tune juke-box monitor – 80 Movies, 80 Minutes, 80s Music (2006) – to sleek digital displays – Words Before All Else Part I (2017). Seamlessly passing between the past and the future, pausing in the here and now, the bodies in Skawennati’s work slip into the permeable present as avatars, uncanny yet familiar, their memories and predictions filled with the joy and wonder of life itself. Born in Kahnawake Mohawk Territory, Skawennati graduated with a BFA from Concordia University in Montreal, where she is based. She is Co-Director of Aboriginal Territories in Cyberspace (AbTeC), a research network of artists and academics who investigate and create Indigenous virtual environments. Her work has been included in major exhibitions including “Now? Now!” at the Biennale of the Americas; and “Looking Forward (L’Avenir)” at the Montreal Biennale. She has been honored to win imagineNATIVE’s 2009 Best New Media Award as well as a 2011 Eiteljorg Contemporary Art Fellowship. Skawennati makes art that addresses history, the future, and change from an Indigenous perspective. 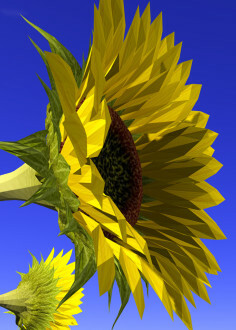 She is best known for her machinimas movies made in virtual environments, but also produces still images and sculpture. Her pioneering new media projects include the online gallery/chat-space and mixed-reality event, CyberPowWow (1997-2004); a paper doll/time-travel journal, Imagining Indians in the 25th Century (2001); and the machinimas TimeTraveller™ (2007-2013), She Falls For Ages (2017) and The Peacemaker Returns (2017). These have been presented in Germany, New Zealand, Hawaii, Ireland, China and across North America in major exhibitions such as “Now? Now!” at the Biennale of the Americas; and “Looking Forward (L’Avenir)” at the Montreal Biennale. Her award-winning work in is included in both public and private collections. Born in Kahnawà:ke Mohawk Territory, Skawennati is a Kanien’kehá:ka of the turtle clan. She holds a BFA from Concordia University in Montreal, where she resides. She is Co-Director, with Jason E. Lewis, of Aboriginal Territories in Cyberspace (AbTeC), a research network of artists, academics and technologists investigating, creating and critiquing Indigenous virtual environments. She also co-directs their Skins workshops in Aboriginal Storytelling and Digital Media. In 2015, AbTeC launched IIF, the Initiative for Indigenous Futures; Skawennati is its Partnership Coordinator.